Bring fun on the run! A day “Out on the Town” has never been easier with the 2-in-1 playmat made for moms and dads on the go. This foldable activity mat fits in most diaper bags and opens to reveal a colorful cityscape. 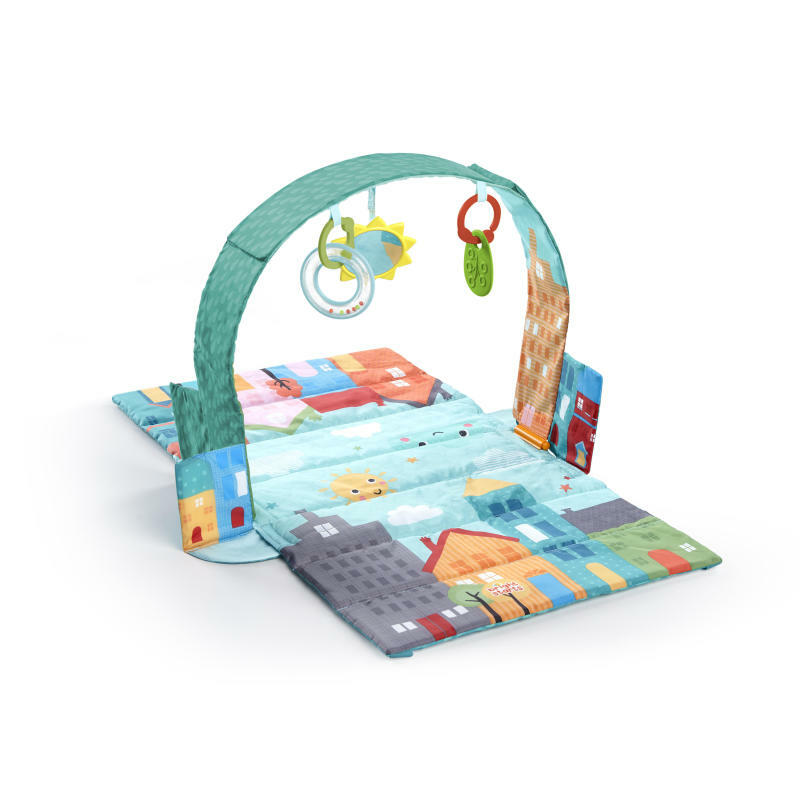 One side is ready for playtime, tummy time, or whatever-kind-of-time with an archway that dangles 3 take-along toys. Flip it over to the other side for a diaper changing surface. Both sides are water resistant and made of wipeable clean fabrics. This baby gym-turned-changing-mat from Bright Starts is easy to fold and go. Watch baby shake, rattle and roll around the city! Fold and fit tons of fun at home or on the go! Dimension (in) 17" x 31.5" x 18"
Mat – Machine wash with cold water, gentle cycle. No bleach. Air dry.Toy bar and toys – Wipe clean with damp cloth and mild soap. Air dry. Do not immerse in water.